Sustainability—with its promise of economic prosperity, social equity, and environmental integrity—is hardly a controversial goal. Yet scholars have generally overlooked the ways that policies aimed at promoting "sustainability" at local, national, and global scales have been shaped and constrained by capitalist social relations. 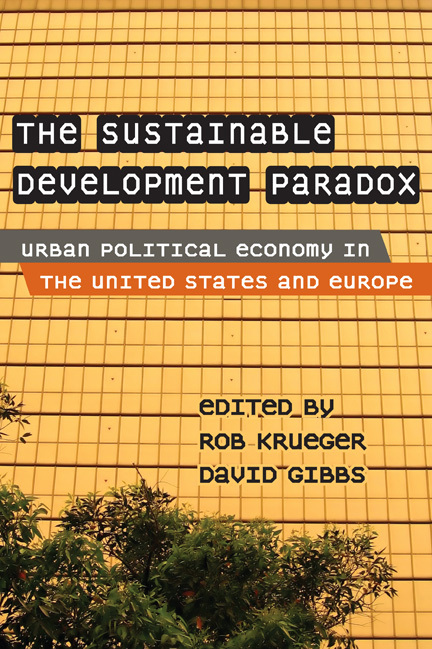 This thought-provoking book reexamines sustainability conceptually and as it actually exists on the ground, with a particular focus on Western European and North American urban contexts. Topics include critical theoretical engagements with the concept of sustainability; how sustainability projects map onto contemporary urban politics and social justice movements; the spatial politics of conservation planning and resource use; and what progressive sustainability practices in the context of neoliberalism might look like.